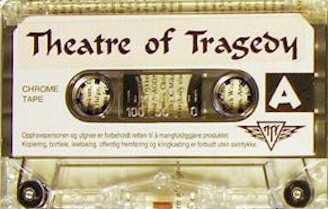 Theatre of Tragedy was founded on 2 October 1993. Drummer Hein Frode Hansen had recently quit his former band Phobia and started looking for a new musical project to play in. A friend of his told Hein that a band called Suffering Grief was looking for a new drummer, and after contacting them, he joined the band. At the time, Suffering Grief was composed of vocalist Raymond István Rohonyi and guitarists Pål Bjåstad and Tommy Lindal. No bassist had joined the band yet, but Eirik T. Saltrø had agreed to play with them in live concerts. After finding a rehearsal place, the band decided to work upon a couple of piano arrangements composed by Lorentz Aspen. The vocals, at the time, were mostly entirely composed by raw death grunts. 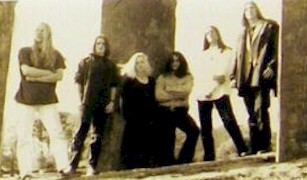 After composing their first song, "Lament of the Perishing Roses", the band changed its name to La Reine Noir and then to Theatre of Tragedy. They subsequently invited singer Liv Kristine Espenæs to do female vocals for one song, but quickly invited her to join the band permanently. In 1994, their first studio demo was recorded, and in 1995, the debut album Theatre of Tragedy was released, followed by Velvet Darkness They Fear in 1996 and the A Rose for the Dead EP in 1997, which contained unreleased material from Velvet Darkness They Fear. Arguably, the band reached the apogee of its career in 1998, with the release of the critically acclaimed album Aégis. Pro glossy covers. Studio tapes with stickers on the shell. - A Song by the Hearth? !